So has anyone noticed a few things going on with my blog? Aside from the whole header disappearing for who knows how long yesterday of course. I added a "pin it" button next to the first picture on every recipe yesterday (that took a while, whew). I also took the opportunity to redesign my header and add a Bloglovin' button and a Google + button to make it easier to follow my blog (hint hint) :). Please let me know if anything looks wonky (technical term of course). 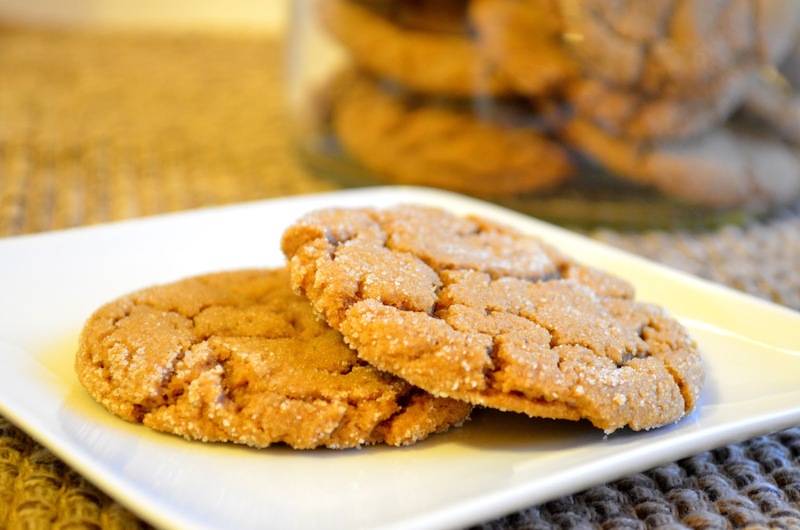 I decided some gingersnap cookies were in order a few weeks ago and made these one afternoon. I tend to think that adding spice to recipes can make them better in most cases, mostly because I love spicy food. 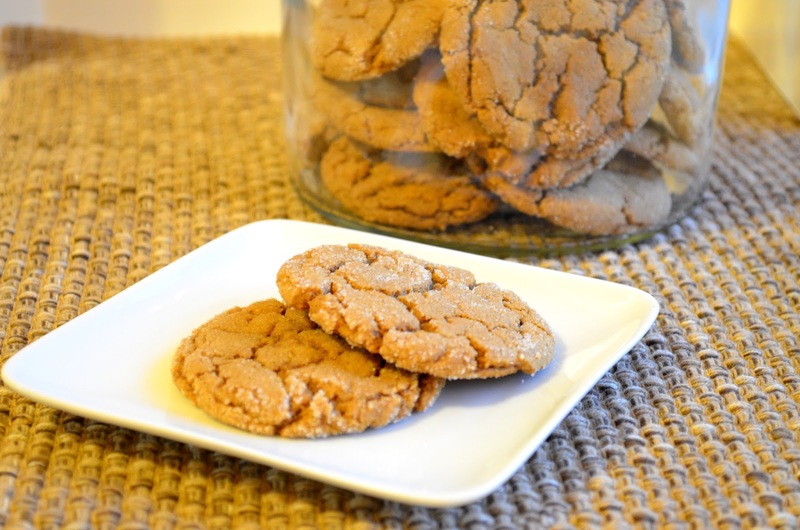 The cayenne pepper in these cookies is a nice addition, although surprising if the person eating it doesn't know it's there (that happened a few times, oops). But on a positive note, everyone who tried them was pleased with the hint of spice that they felt about a minute after they ate them. The spice isn't to strong and won't make you go running for the nearest glass of milk, although milk is always good with cookies. Are you feeling ready to try them yet? 1. Preheat oven to 350F. In the bowl of a mixer, blend together the butter and sugars on low speed for about 30 seconds, then on medium until light and fluffy, 2-3 minutes. 2. Add egg and molasses to butter mixture, blend until combined. 3. In a small bowl stir together the flour and next five ingredients. Add the flour mixture to the butter mixture and mix until just combined. 4. 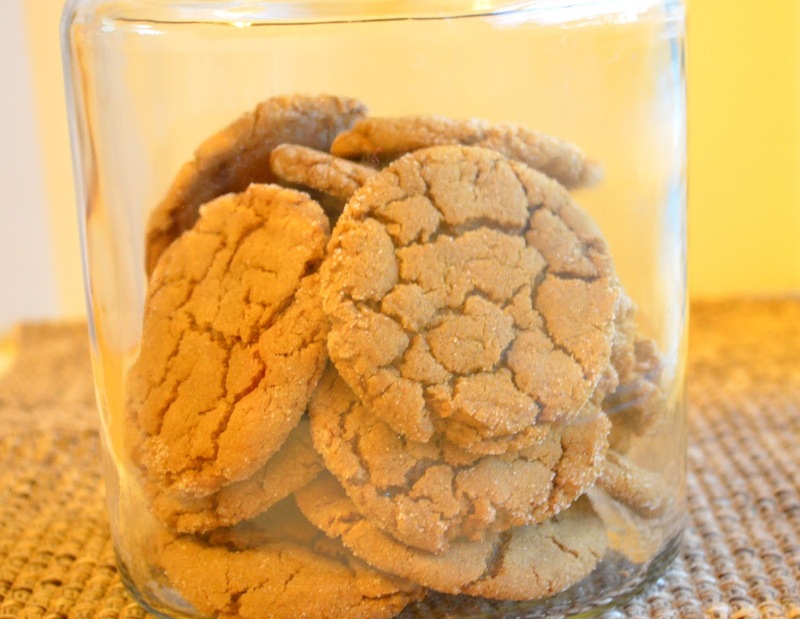 Scoop the cookie dough into 1 tablespoon portions and roll in the ¼ cup granulated sugar, then place on a cookie sheet. Repeat with remaining dough. Once the dough is on the cookie sheet, flatten the dough balls slightly with your hand or the bottom of a lightly greased glass that has been dipped in sugar. 5. Bake the cookies for 8-10 minutes or until the edges are golden and the middle is completely set. Cool completely on a wire rack.